← Can a Priest Have His Ordination Annulled? Q: I was raised attending the Ukrainian Greek Catholic Church’s Divine Liturgies because my parents preferred that Liturgy to the Novus Ordo Mass in the Roman Rite. Although my father is from the Roman Rite (and so I’ve been told I am Roman Catholic even though I was baptized and confirmed in the Ukrainian Greek Rite), we always attended, and I still to this day attend, the Ukrainian Greek Rite of worship. A: It’s gut-wrenching to have to answer questions like this one, and it’s even more painful to know that the very same legal problem occurs far too frequently. Coincidentally, the Pope recently issued an Apostolic Letter that touches on this very subject—so let’s look at what both canon law and this Apostolic Letter have to say about it, and in so doing we’ll arrive at the answer to Kyle’s question. Back in “Are They Really Catholic? Part I,” we saw that not all Catholics are Roman (i.e., Latin) Catholics. Depending on how you count them, there are actually about twenty different groupings of Catholics on earth today. 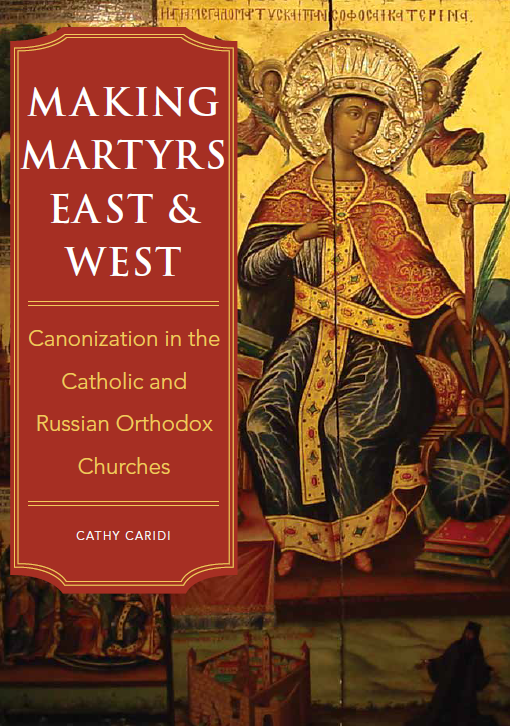 The non-Latin ones are based in geographic regions generally to the east of Rome—including Northeastern Africa, the Middle East, Eastern Europe and India—which is why they are commonly known as eastern Catholic Churches. Most of them exist today because in centuries past, significant numbers of Orthodox clergy and faithful returned to full communion with the Catholic Church. As was discussed in “Can a Catholic Ever Attend an Orthodox Liturgy Instead of Catholic Mass?” the Orthodox Churches are not in communion with Rome. The Orthodox officially broke away from the Catholic Church back in the year 1054, and they have been in a state of schism ever since. Canon 751 tells us that the term schism refers to the withdrawal of submission to the Supreme Pontiff, or from communion with the members of the Church subject to him. 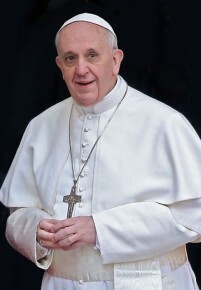 This means that while Churches such as the Greek Orthodox and Russian Orthodox still have validly ordained priests and bishops, they do not recognize the Pope as the Vicar of Christ and the supreme head of the Church on earth. In contrast, the abovementioned groups of former-Orthodox-turned-Catholics accept the authority of the Pope as the head of the Church. Thus they are truly Catholic, sharing the same faith, the same sacraments, and the same governance as Latin Catholics (cf. c. 205). The different groupings of Catholics are known in technical parlance as Churches sui iuris. The Ukrainian Catholic Church that Kyle mentions is an example of this. The Latin Catholic Church, which comprises the lion’s share of Catholics around the world, is a Catholic Church sui iuris too. As has already been discussed in the posts referenced above, Catholics can fulfill their Sunday obligation by attending Mass at any Catholic Church sui iuris, whether they’re members of that Church or not. And it doesn’t make any difference whether Catholics attend Mass at a different Catholic Church because they’re physically unable to get to one of their own; or because they simply prefer it, like Kyle’s parents. So a Latin Catholic can attend the Sunday Divine Liturgy at, let’s say, a Ruthenian Catholic parish, and that’s just as good as attending a Mass at any Latin Catholic parish. He can receive Holy Communion and go to confession there, too (cc. 923 and 991). As was said earlier, Catholics all share the same sacraments—the ritual in which they’re celebrated doesn’t matter. So if we’re all Catholics, it likewise shouldn’t matter where we get married, right? Tragically, it’s not that simple. Here’s why. The non-Latin Catholic Churches sui iuris identify their members based on their ethnic heritage. This is the way the Orthodox Churches work—and remember that most of the Churches sui iuris that returned to communion with Rome had been Orthodox before. So, to cite a couple of examples, if your family is of Irish heritage, and your parents were Catholics, and they had you baptized a Catholic in their parish church, then you are a Latin Catholic. But if you’re Romanian, and your parents are/were members of the Romanian Catholic Church (which broke with the Romanian Orthodox Church generations ago, and returned to union with Rome), then you are a member of the Romanian Catholic Church too, whether you know it or not, and regardless of what country you’re living in or what Catholic Church sui iuris you regularly attend. It actually gets much more complicated and confusing, particularly if your parents are/were members of different Catholic Churches sui iuris—e.g. a Ruthenian Catholic woman married to a Latin Catholic man, or a Chaldean Catholic woman married to a non-Catholic man. Bear in mind that Rome didn’t invent this system; it’s a carry-over from the practice of the Orthodox Churches, many of whose members became Catholics in centuries gone by. The Pope can always change this system if he wants to (see “Are There Any Limitations on the Power of the Pope?” for more on this), but so far no Pope has decided to do so. Some of the practical implications of this complicated system can be seen in canon 111.1. This canon states that if you’re baptized as an infant, your membership in a Catholic Church sui iuris is determined by the Church(es) sui iuris of your parents. If both parents are Latin Catholics, then you are too—regardless of who baptized you! Just because you’re baptized in, say, a Greek Melkite Catholic Church, that doesn’t automatically make you a Greek Melkite Catholic. A Greek Melkite Catholic priest can of course perform a valid Catholic baptism—but if your parents were Latin Catholics, you are too. And regular attendance at the parish of a different Catholic Church sui iuris doesn’t change anything. Canon 112.2 states clearly that the practice, however longstanding, of receiving the sacraments in a different Catholic Church sui iuris does not bring with it membership in that Church. So if your parents are Ukrainian Catholics, but you were born and raised in the middle of Sri Lanka, with no Ukrainian Catholic parish or clergy in sight, you might of necessity have attended a Latin Catholic parish your entire life—but you’re still a Ukrainian Catholic. What does this membership mean in practice? Well, it means that while we Catholics can attend Mass and receive the sacraments of Penance and the Eucharist at any Catholic Church on earth, each of us is nonetheless technically still under the spiritual care and jurisdiction of the clergy of our own Church sui iuris. This has serious ramifications when it comes to marriage. As we’ve seen many times before (in “Why Would a Wedding in Our College Chapel be Invalid?” among others), Catholics who marry are required to follow canonical form. For their marriage to be valid, Catholics must marry in the presence of either the local bishop, or the pastor of the parish, or a priest/deacon deputed by either of them (c. 1108.1). And when it comes to the different Churches sui iuris, it is critical first to identify exactly who are the clergy entrusted with your spiritual care. b.) Their non-subjects (i.e., a diocesan bishop can marry Catholics from another diocese, and a pastor can marry Catholics from another parish), provided that at least one of the spouses is a Latin Catholic. Why can’t a Latin Catholic bishop or priest marry, say, a couple of Ruthenian Catholics? Because they’re under the spiritual care of the Ruthenian clergy, wherever they happen to be. If we’re talking about the marriage of a Latin Catholic to a Ruthenian Catholic, the Latin Catholic diocesan bishop or parish priest can do it. But if both bride and groom are from a different Church sui iuris, he can’t. Of course this applies in the reverse direction as well. Two Latin Catholics cannot marry before a Chaldean Catholic cleric. A Romanian Catholic and a Greek Melkite Catholic cannot marry before a Ukrainian Catholic cleric. Get the idea? These rules have existed for years, but recently Pope Francis issued a new document that rewords a few canons, spelling them out even more explicitly. His May 31, 2016 Apostolic Letter De Concordia inter codices has thus far only been posted on the Vatican’s website in Italian and Latin; but even if an English translation has yet to be provided, it is nonetheless already in force around the world. By now, readers’ heads may be spinning—but there’s also one huge exception to these rules which complicates things even further. It may best be illustrated by using a concrete example. Let’s imagine that Thomas and Sandy are Latin Catholics from New Zealand. Each of them gets a job requiring them to live in a rural village in Romania. They meet there, fall in love, and want to get married. Let’s imagine that they’ve both been attending the local Romanian Catholic parish on Sundays, because there’s no Latin Catholic parish for miles around. There are also very few Latin Catholic laypeople for miles around—and there’s no Latin Catholic priest around, either. So who’s responsible for the spiritual welfare of this relative handful of Latin Catholics in this rural part of Romania? In these sorts of regions, where the overwhelming majority of Catholics are of one Church sui iuris, and there’s only a scattering of Catholics from another, the Church often formally establishes that the clergy of the one Church sui iuris are given the authority to care for Catholics of another. So it might happen that in the area of Romania where our imaginary Latin Catholics Thomas and Sandy are living, the Romanian Catholic clergy are officially responsible for any Latin Catholics living in their territory too. In this sort of situation, Thomas and Sandy could marry validly before a Romanian Catholic parish priest—because he has explicitly received the authority to do this from Rome. When Cardinal Bergoglio was elected Pope in 2013, many journalists read his official biography live on the air. They noted among other things that he was not only the Archbishop of Buenos Aires, but also “the Ordinary for the faithful of eastern rites,” and it was obvious that most of them had no idea what this means. In fact the Latin Catholic Archbishop of Buenos Aires has also received from Rome the responsibility for all non-Latin Catholics in the entire nation of Argentina. This is presumably because there are only a few Ruthenian Catholics, Maronite Catholics et al scattered around the country—and their tiny numbers do not justify sending clergy from these eastern Churches to minister in Argentina. Instead, the Latin Archbishop has charge of their spiritual wellbeing, and they can therefore marry validly before a Latin Catholic priest there. Readers who are feeling hopelessly confused at this point should know that this is actually an oversimplified description of the law regarding eastern Churches sui iuris. There are many more scenarios around the world for which provisions exist in canon law on this subject! Let’s now look at Kyle’s situation. Both his parents are Latin Catholics. They attend the Ukrainian Catholic Church by preference, which is perfectly okay. Their children were baptized by the Ukrainian Catholic priest—but as we’ve already seen, that didn’t automatically make the children Ukrainian Catholics. Every member of the family, including Kyle, is still a Latin Catholic. They live in a region where the majority of Catholics are Latin, and so the Ukrainian Catholic clergy are definitely not entrusted with the spiritual welfare of the Latin Catholics in their territory. Kyle’s wife is a Latin Catholic too. They are both, therefore, required to observe the canonical form for marriage, which means they must marry before Latin Catholic cleric. They cannot marry validly before a Ukrainian Catholic priest, since they are not his subjects… which means their marriage is not valid in the eyes of the Catholic Church. Since they want to be married, they need to speak immediately with a Latin Catholic priest about how best to arrange to have the situation corrected! It is not unreasonable to ask whether the “Church provides,” as Kyle put it, for an error which was not known to the spouses. We looked at the concept of Ecclesia supplet in “Are SSPX Sacraments Valid? Part II,” but in a nutshell, no, this is a clear-cut case with no doubt of law or of fact. Thus Ecclesia supplet does not apply. Kyle and his wife are in no way at fault here, as they naturally relied on the priest to tell them if they were unable to marry in the Ukrainian parish. And it is simply inconceivable that the Ukrainian priest was unaware of the law in this regard. After all, this did not take place in a backward region of the world, where seminaries may be poorly equipped to provide future priests with sound theological training; on the contrary, it happened in a first-world country, where the Ukrainian Catholic Church has an excellent educational system—so there’s no way for him to claim ignorance on this critical issue. It appears to be yet another instance of a parish priest arbitrarily deciding that the law is whatever he says it is, much akin to the sad case we saw in “Annulments and the Authority of the Parish Priest.” We can see that Kyle and his wife are now paying the price. Once Kyle’s marriage-situation is rectified by the Latin Catholic clergy of the diocese where he lives, it seems likely that the Latin diocesan bishop will also want to determine whether any other marriages of his subjects may have been celebrated invalidly by this Ukrainian priest. Unfortunately, Kyle’s case may be one of many—and this of course has to stop. There’s no question that canon law on the question of Catholic Churches sui iuris can get confusing. Even canon lawyers often have to consult one another to make sure they get it right! The law attempts to balance simultaneously two different factors: that the lay-faithful of the different Churches sui iuris are nonetheless all Catholics, and that the Catholic lay-faithful are (as a rule) the subjects of the clergy of their own Churches. This entry was posted in Marriage, Parish Life, Sacraments and tagged canon law, Catholic, marriage, sui iuris, Ukrainian. Bookmark the permalink.